Apple tvOS 12 bringing brand new feature (Dolby Atmos) announced on the stage of WWDC18 Preview of tvOS 12. The Dolby Atmos functionally won’t work with all Soundbars because the elements demand Dolby Atmos-enabled Speakers in simple English top Soundbars with Dolby Atmos. So Download and install tvOS 12 on your Apple TV to Access Dolby Atmos features. Unfortunately, Not All Soundbars come with Dolby Atmos function. 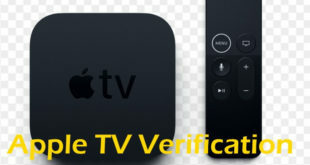 Therefore, if you have Apple TV Soundbar that has Dolby Atmos, then you enjoy good playback quality with the reliable internet connection. Even though, in case if you haven’t then you will have to buy right Dolby Atmos soundbar for your Apple TV 4k. Now, if you a guy to explore the right Soundbar with Dolby-Atmos, then I’m very excited to show you. Lets a close look on selected top reviews and in budget best Soundbars with Dolby Atmos for Apple TV 4k. 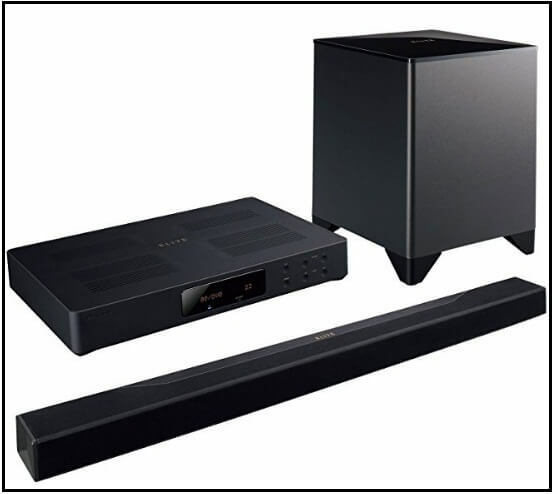 Hopefully, these sound bars will bring more thrill to your home movie experience. Also Get Best AirPlay Speakers for your Apple TV. Sony’s very super wireless Dolby atmos soundbar has wireless read speakers. 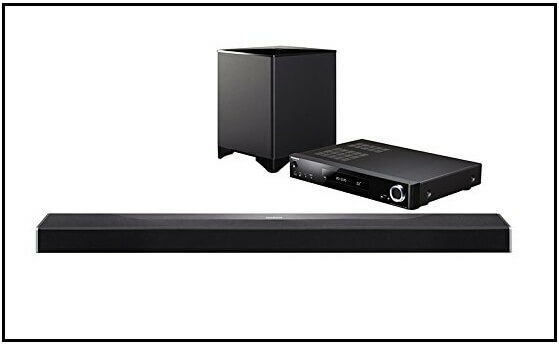 The Wireless Soundbar has five sound mode which provides much-enhanced experience during the watching movie, gaming, news, and Music library. Rear Speaker is options one, so you can attach whenever you want. Free Technical supports for 60 days from the date you get this soundbar. You can take help for set up configure, or even troubleshooting over the phone by an expert technician. Not appropriate for those guys who are looking for ample space and need vast amounts of volume. For instance, the long story. LG SK10Y soundbar is a brand new model with Dolby Atmos technology. The bar comes with Meridian Audio technology. LG’s Sound bar system work with Google assistance; In More, Bar has Chromecast built-in and 24-bit upsampling. LGSk9Y Soundbar is the one-year-old model, but it gets good users reviews. The list is incomplete without the LG Dolby-Atmos Speakers for Apple TV 4K. Dolby Atmos Soundbar with rear Speakers! Pioneer’s Surround Elite Atmos Soundbar is a package of three different units to make worth Apple TV with Dolby Atmos speaker system. Its all new 3.2.1 channel enhance music with DTS-x sound technology. 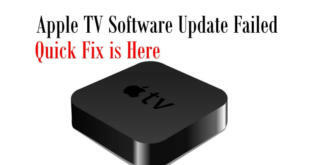 Connect Apple TV with inbuilt Wi-Fi and Bluetooth. Besides stream music on Spotify, Deezer, Pandora, and Tidal through AirPlay. The ultra slim sound bar of 2” is wireless and you can directly in the wall and enjoy music everywhere in the home. The central AV provides powerful amplification and consist of 4 HDMI inputs along with HDCP2.2 4K HDR/HD support. The featured Mcacc tailors analyze the environment with the new reflex optimizer and provide realistic and clear sound effects depending on the heights of room. If you are struggling in a limited space, but looking to buy Dolby Atmos Soundbar Speaker then Onkyo top brand in US and Canada presents impressive compact speakers for your Apple TV. 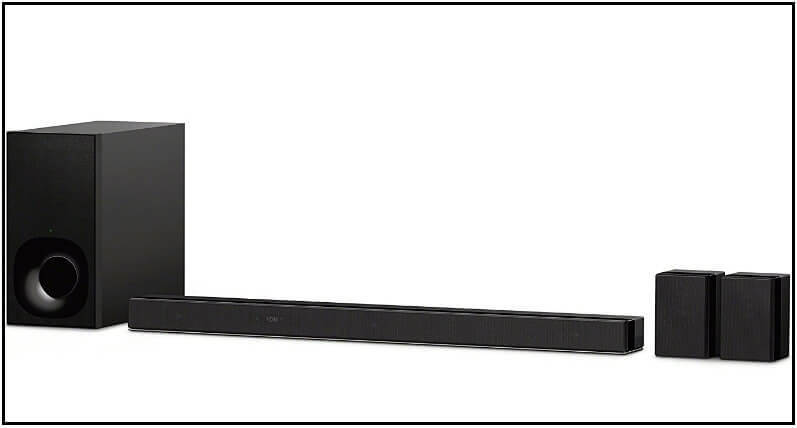 Onkyo sound bar delivers multidimensional listening atmosphere with greatest surround enhancer mode technology. Play music seamlessly anytime on Apple TV through AirPlay, DTS Play-Fi technology, and built-in Chromecast. As usual, it has 4 HDMI inputs and one output, totally supporting 4K/60p videos of Apple TV 4K. It adjusts music automatically with object-based surround sound in your uneven room. 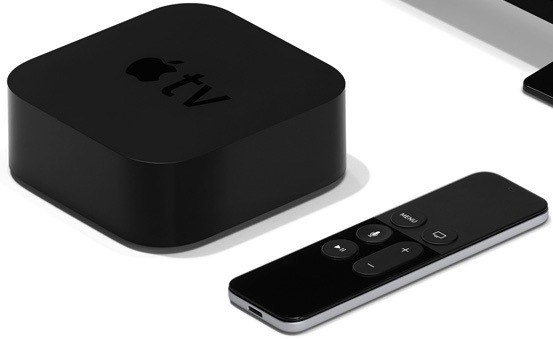 The complete set of Dolby Atmos, home theater system, is made for Apple TV 4K with featuring functions which adjust the sound automatically and provides object-based surround sound. Get cinematic view in your home with Apple TV 4K, and Damson’s wireless Dolby Atmos surround speakers. The speaker delivers the right 3D sound with no requirement of cables, just charge, and play. On a single charge, you can enjoy surround sound up to 8hrs with the support of its long-lasting batteries. Stream games, play movies, Watch on Amazon Prime and Netflix with the same Ultra high definition surrounding sound. One of the #1 bar among giving all Soundbars with Dolby Atmos. 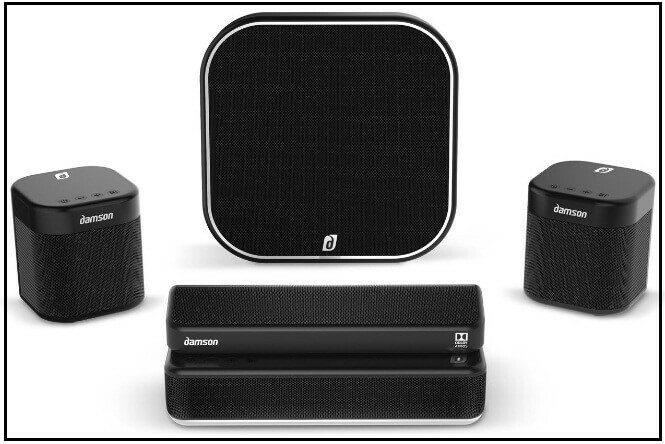 Set up the complete pack of speakers in less than 10 minutes, it includes 2 S-Cube speakers, and soundbar. If you want whole home audio, then you can add up to 14 S-Cube speakers and enjoy music in every room. Bring the smallest piece of Dolby Atmos to surround speaker for your Apple TV 4K and play music on world’s first sound speaker with 7.1.2 channel and multi-dimensional sound effects. Yamaha’s sound bar is fully compatible with Airdrop, Music Library, Rhapsody, Spotify and much more. In addition to Apple TV 4K, it also works powerfully with Alexa for voice control, but you have to buy Alexa separately. The connectivity options are HDMI inputs and HDCP 2.2 that are pretty common and now available in almost all the devices. Hope, you would like this list of best soundbars with Dolby Atmos which delivers breathtaking sound experience from every direction. Like it? Don’t miss to Share. Thanks for your shopping. You can also see these top Soundbar systems for your Apple TV.